Raised in Tenafly, New Jersey, Gore was discovered as a teenager. Her first single at age 16 was the #1 hit “It’s My Party”, still perhaps her best known recording, which also made #9 in Britain. It was followed by others, including “Judy’s Turn to Cry” (the sequel to “It’s My Party”), “She’s a Fool”, the proto-feminist “You Don’t Own Me”, and “Maybe I Know”. Her record producer was Quincy Jones, who would later become one of the most famous producers in American music. It was Jones’ continued success with Gore that made him famous in his own right. Instead of accepting the television and movie contracts that came her way, Gore chose to attend Sarah Lawrence College in Bronxville, New York. This limited her public career to weekends and summer vacations and undoubtedly hurt her career. Nevertheless, throughout the mid-1960′s, Gore continued to be the one of the most popular female singers in the United States and Canada. By the late 1960s, though, her fame lessened as popular tastes evolved towards a harder-edged, psychedelic sound. Her last major hit was “California Nights” (1967) which she performed on an episode of the BATMAN TV series, after which she continued to stay busy in the music industry, performed at concerts and in cabarets and achieved noted success as a professional songwriter, including composing songs for the soundtrack of the 1980 film, Fame. She received an Academy Award nomination for “Out Here on My Own” written with her brother Michael. Gore continues to be busy, playing concerts, appearing on television, and recently (2005) recording a self-produced and critically-acclaimed CD, “Ever Since”. She is also known for tackling a variety of musical genres, including a credible take on AC/DC’s “Dirty Deeds Done Dirt Cheap”. Although Gore did not officially come out until late in her career, her lesbianism was not exactly a secret. The 1996 film Grace of My Heart featured a character (played by Bridget Fonda) whose industry struggles over her sexual orientation were similar to Gore’s. Beginning in 2004 Gore could be seen hosting the PBS series In the Life, which focused on GLBT issues. Gore currently lives with her partner of over twenty-three years, as well as a few pets. Do you want to hire Lesley Gore? Directly request a quote. In 48 hours we can send you the availability of Lesley Gore If you would like to book Lesley Gore, Entertainment Booking Agency is the right place. We will offer you the best price and contact the management or we directly contact Lesley Gore. For corporate appearances or speaking engagements you can contact our agents and the will help you true the process. 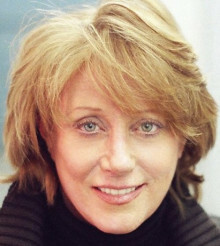 Tags: hire Lesley Gore, Lesley Gore booking, book Lesley Gore, Lesley Gore appearances, find more information on booking Lesley Gore for appearances, Lesley Gore speaking engagements, Lesley Gore endorsements/spokesperson, Lesley Gore appearance fees, Lesley Gore booking agency contact info, biography of Lesley Gore, Contact an artist booking talent agent find a speakers bureau that can book Lesley Gore, speaker booking agency for Lesley Gore, Lesley Gore booking agency, Lesley Gore booking for corporate event. EBA is one of the biggest entertainment booking agencies in the World. We book hundreds of celebrities, artist, athletes and speakers in a year. Important to know is that we are not claiming to be the management of Lesley Gore. We are not the official agent for Lesley Gore. Companies from around the globe book these artists and speakers true our company be course we have one of the biggest networks and we always have direct contact with the artist or the management. We help you to find the right celebrities for your corporate of private events. Please contact one of our agents to get free advice and we will help to get the world-famous artist on your party.